The works comprised of undercutting two tracks and a turnout with a total length of 70m in the busy Sandgate corridor with live train running on the adjacent track. 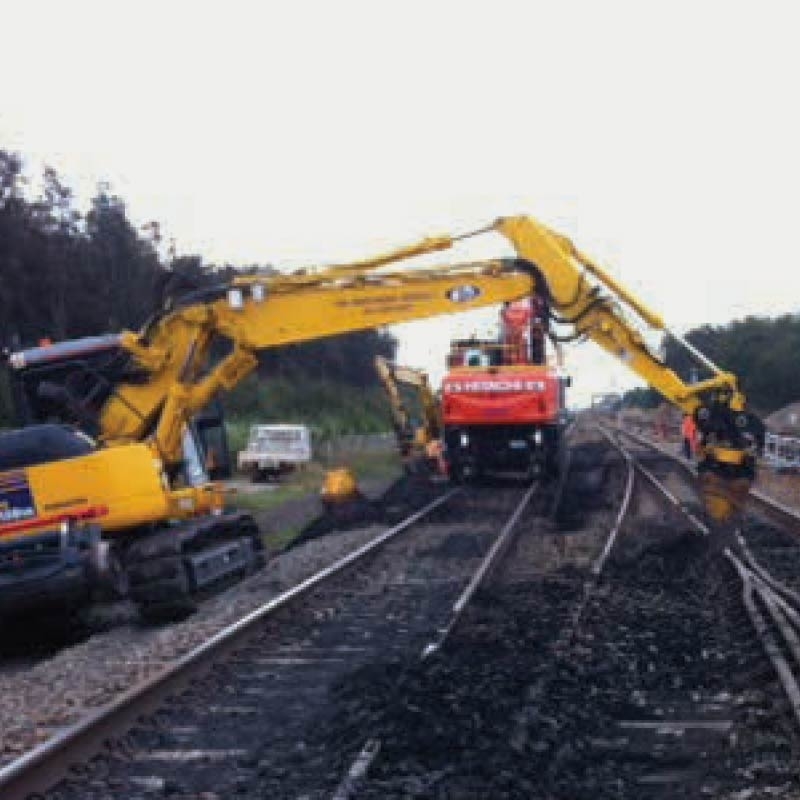 McLeod Rail supplied supervisors and protection personnel and utilised a combination of McLeod Rail and hired plant including hirail excavators, hi-rail tip trucks, dump trucks and front end loaders. The works were completed successfully within five shifts. During the works, McLeod Rail also employed an innovative magnetic safety fence to delineate our work group and the adjacent live track.